“As revolutionary as it sounds, Blockchain truly is a mechanism to bring everyone to the highest degree of accountability. No more missed transactions, human or machine errors, or even an exchange that was not done with the consent of the parties involved. Above anything else, the most critical area where Blockchain helps is to guarantee the validity of a transaction by recording it not only on a main register but a connected distributed system of registers, all of which are connected through a secure validation mechanism,” Ian Khan, TEDx Speaker, Technology Futurist, addressed. Now, Blockchain wants to innovate businesses. 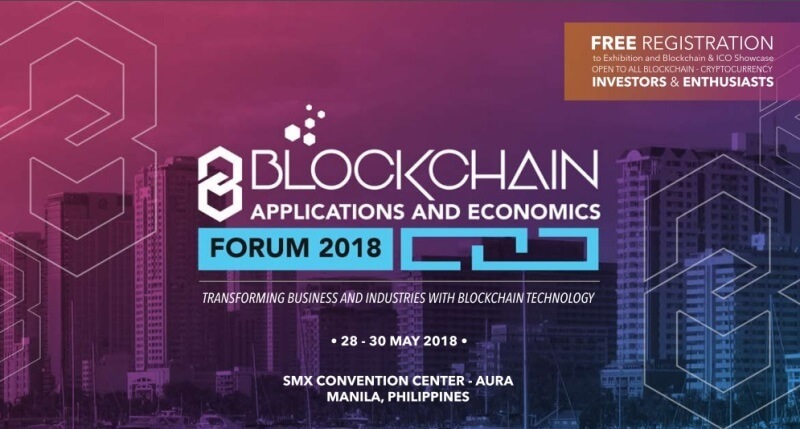 On May 28 to 30, 2018, the Blockchain Applications and Economics Forum 2018 will bring together business leaders, government, and blockchain enthusiasts alike to access the state of blockchain, and discuss applications on improving and changing the way business is done. The said conference is slated at SMX Aura Convention Center. Join the forum to know more about Blockchain, and how it can transform businesses and industries! For more information, visit www.blockchainasiaforum.com, or contact chloe@blockchainasiaforum.com.